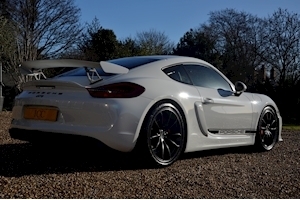 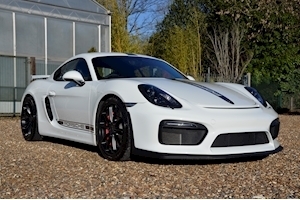 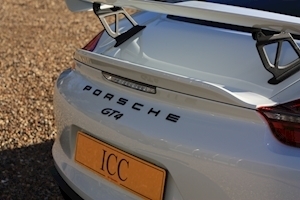 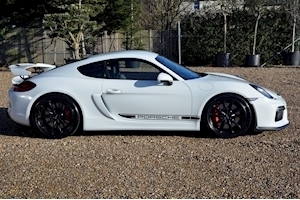 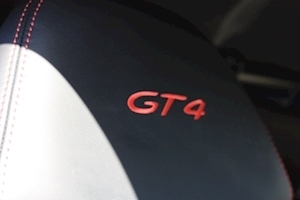 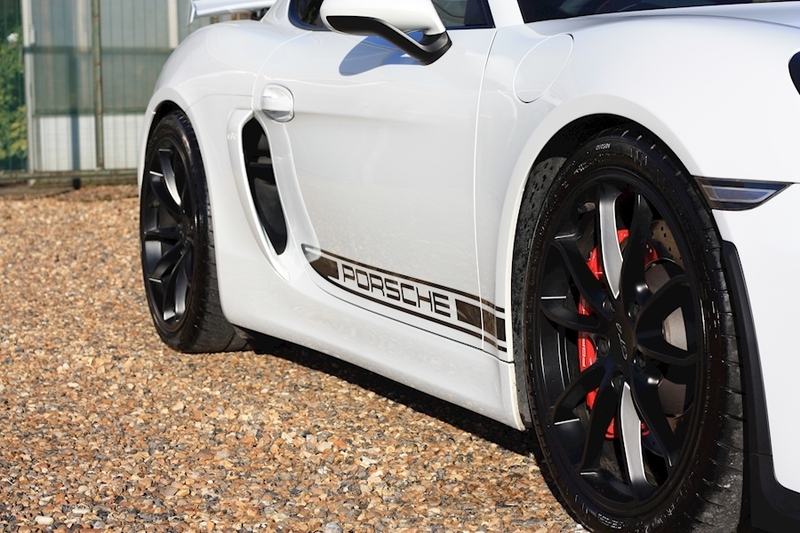 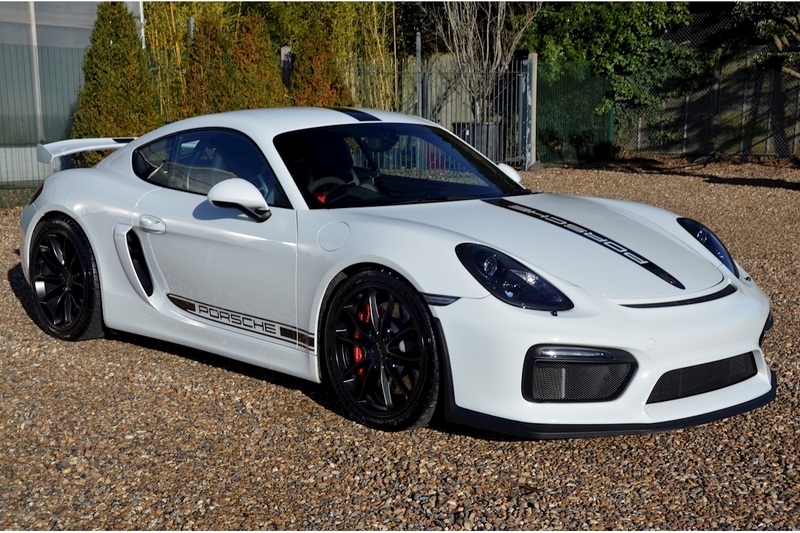 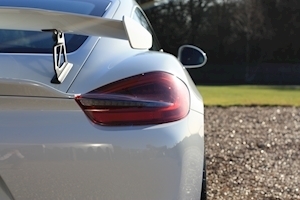 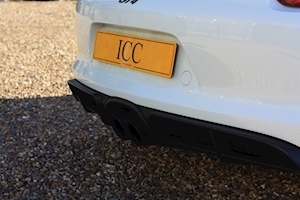 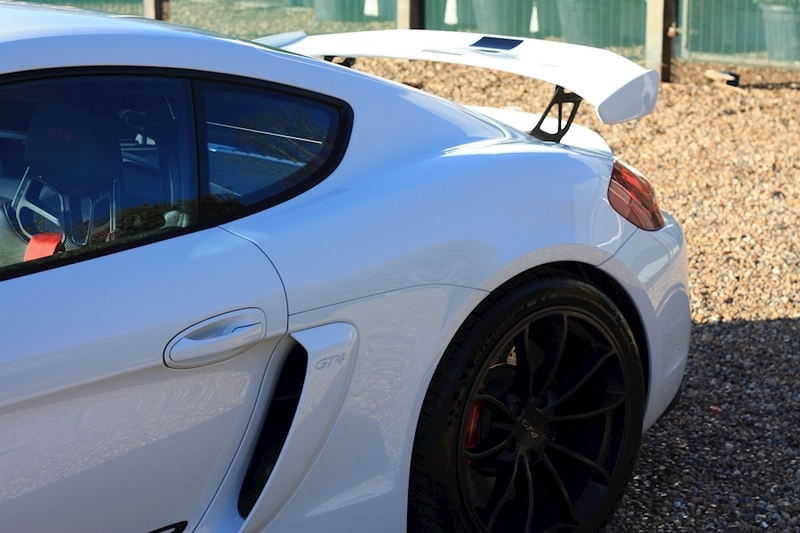 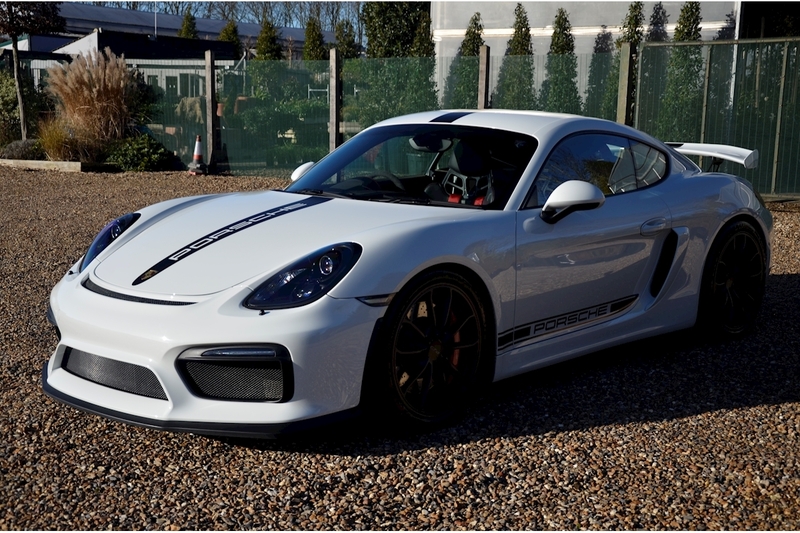 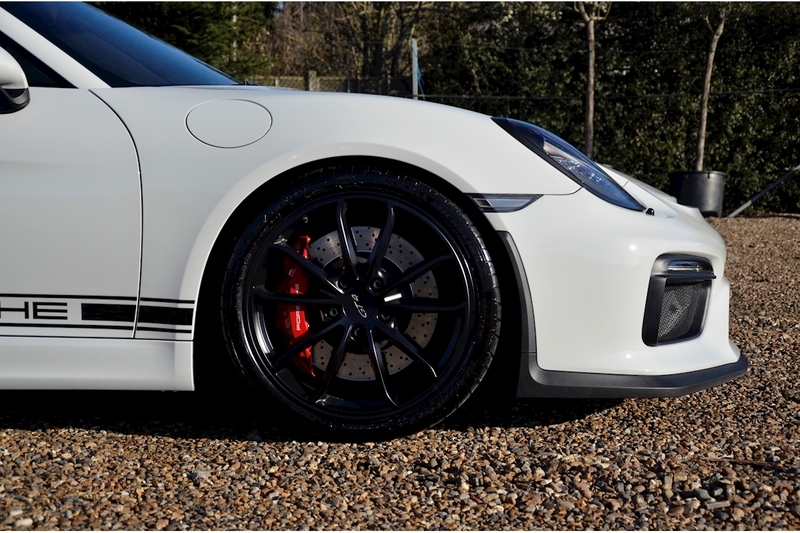 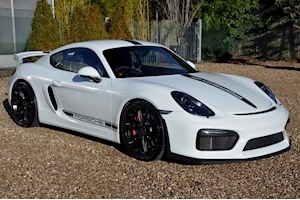 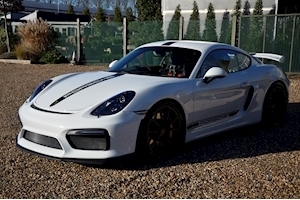 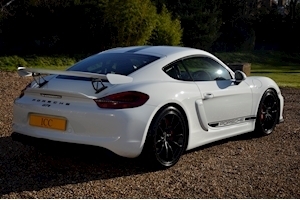 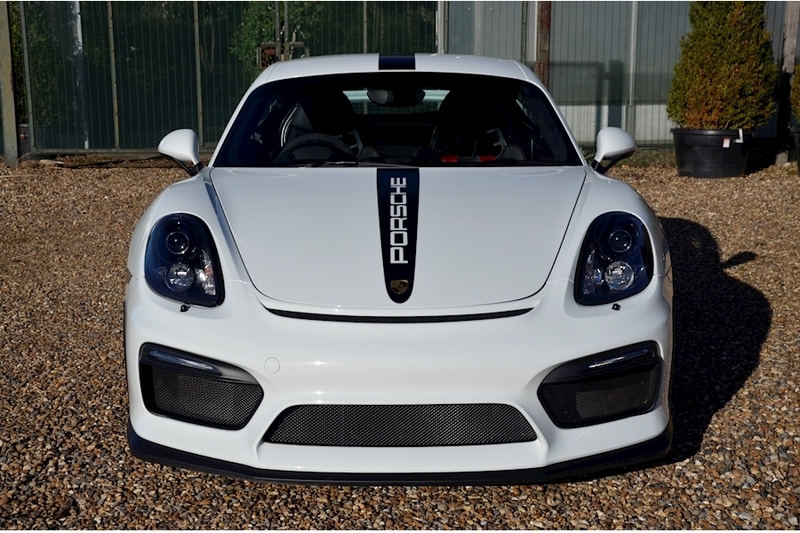 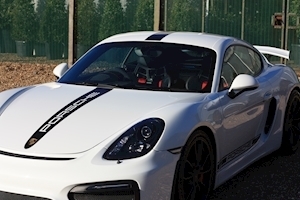 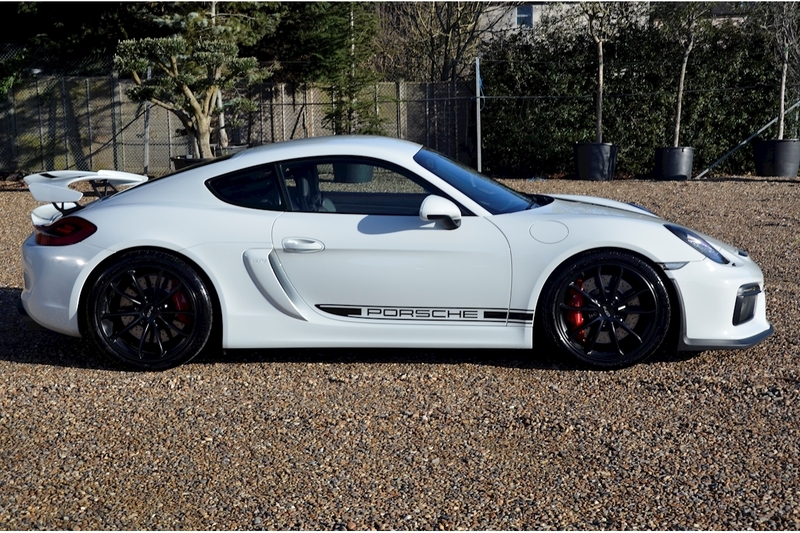 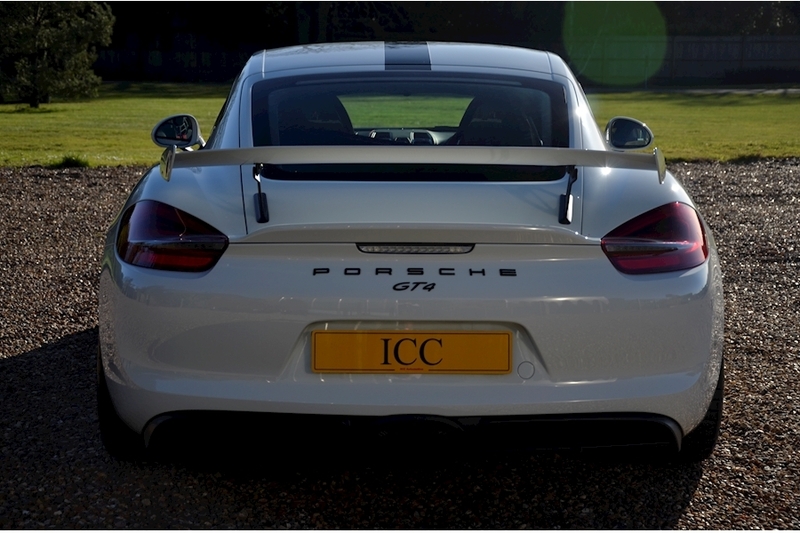 ICC are delighted to have this fantastic Porsche GT4 back into stock after supplying it to the last owner. 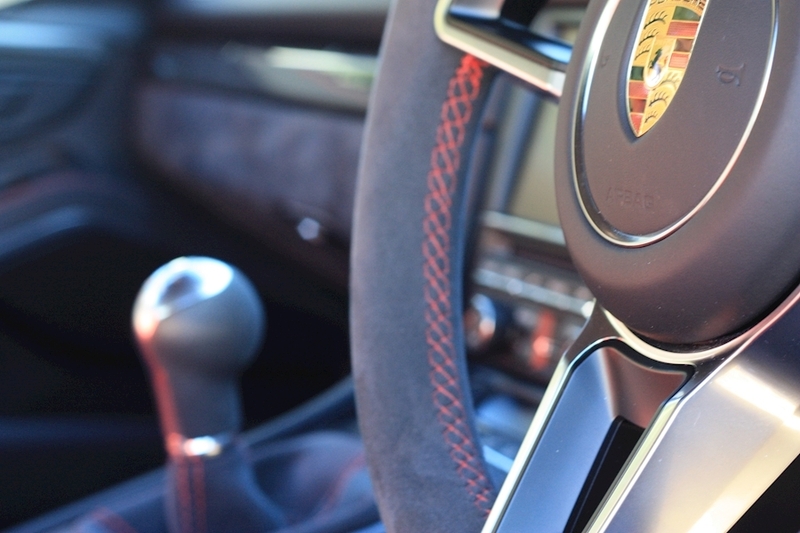 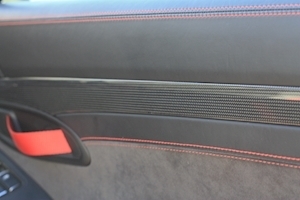 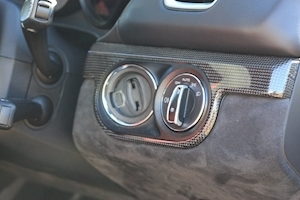 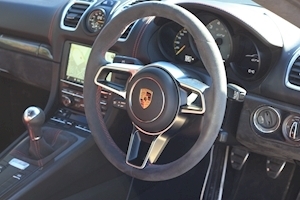 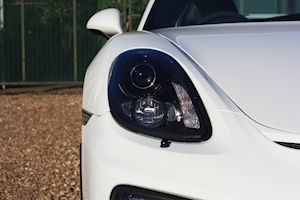 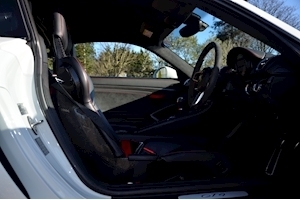 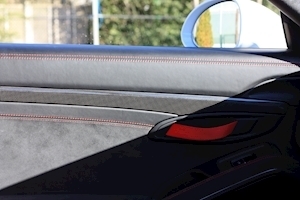 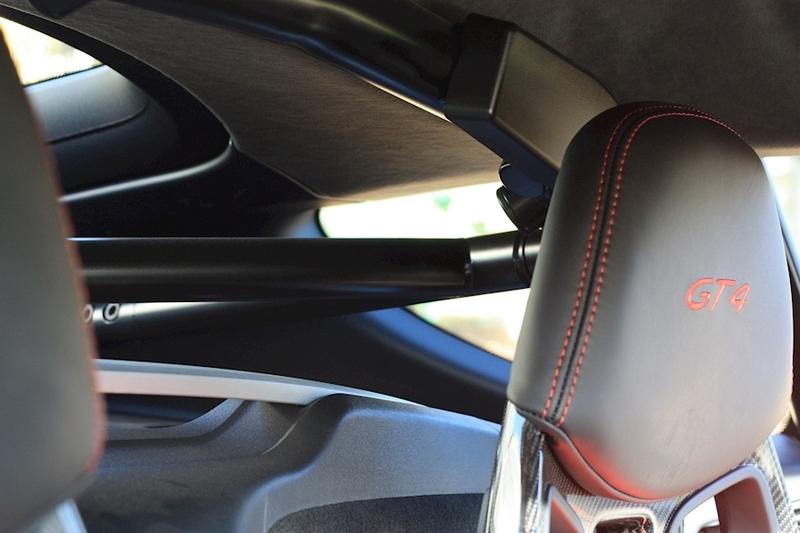 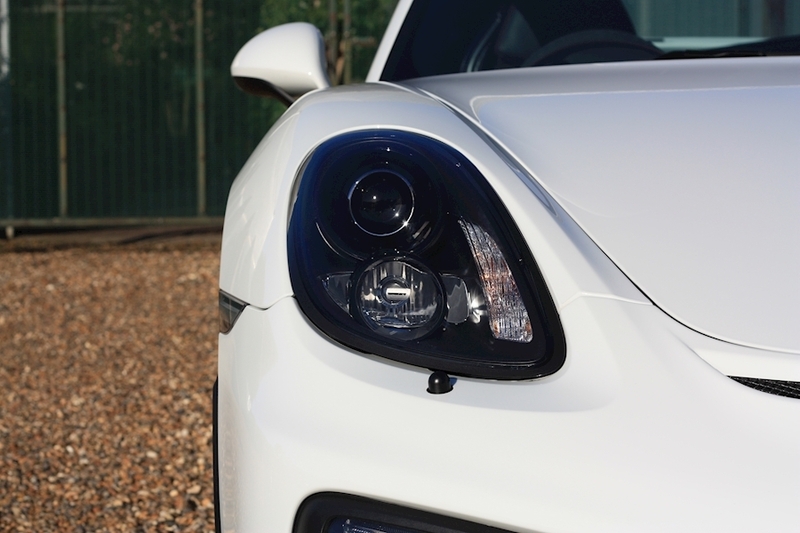 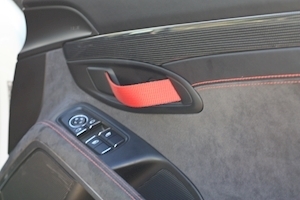 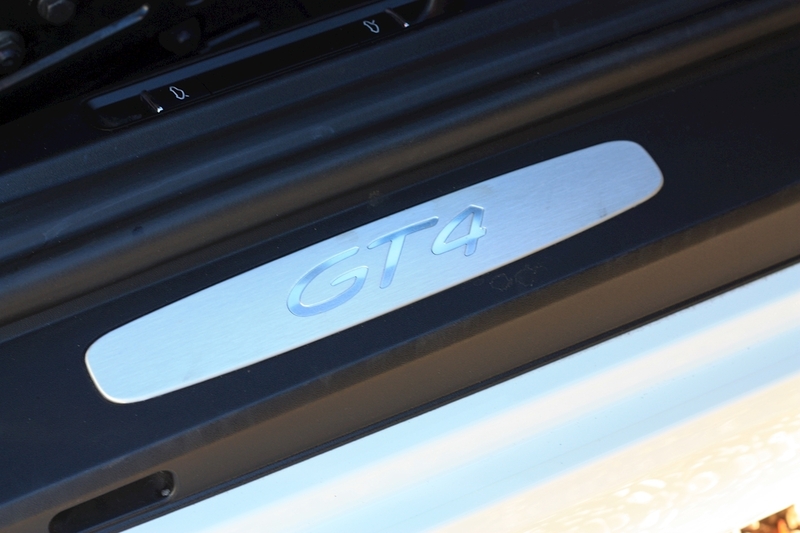 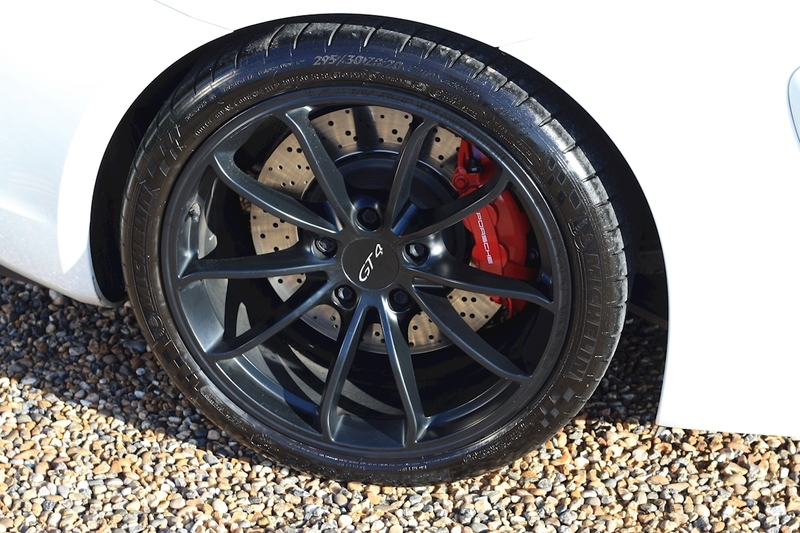 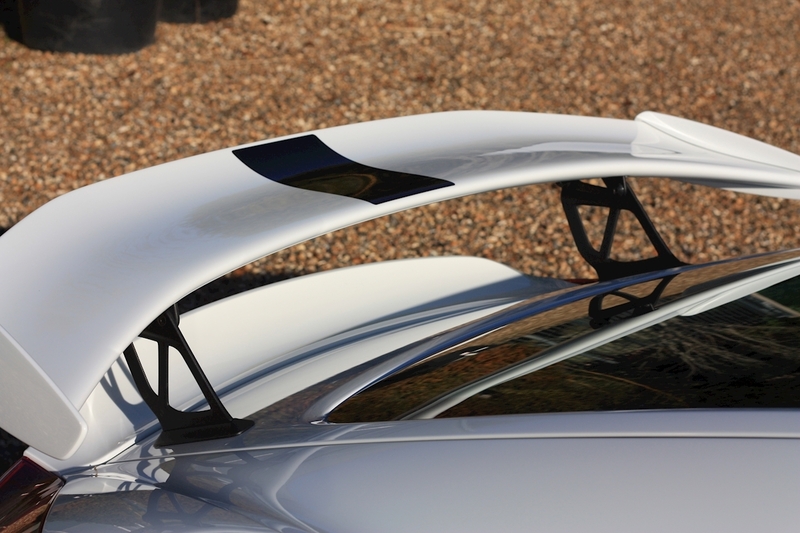 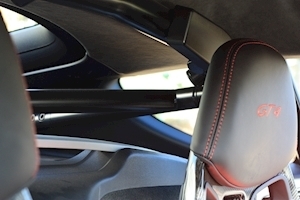 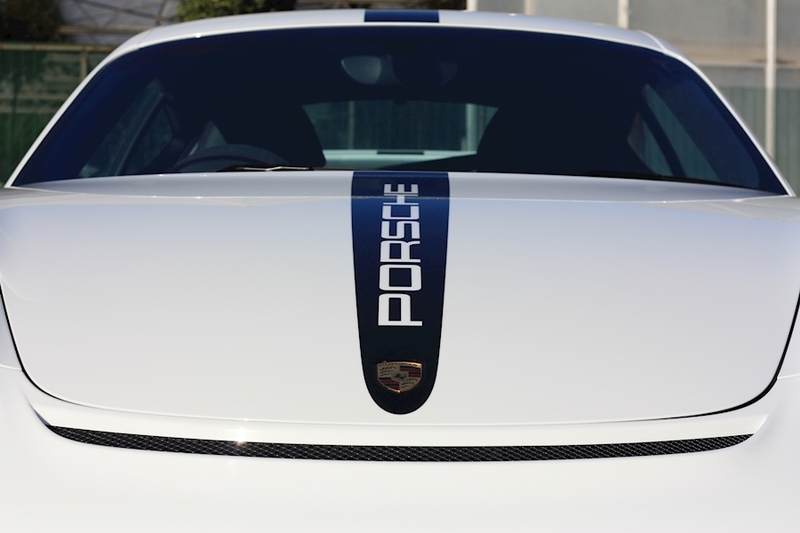 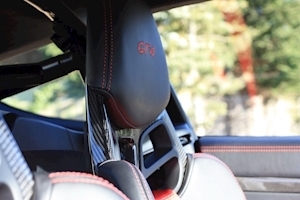 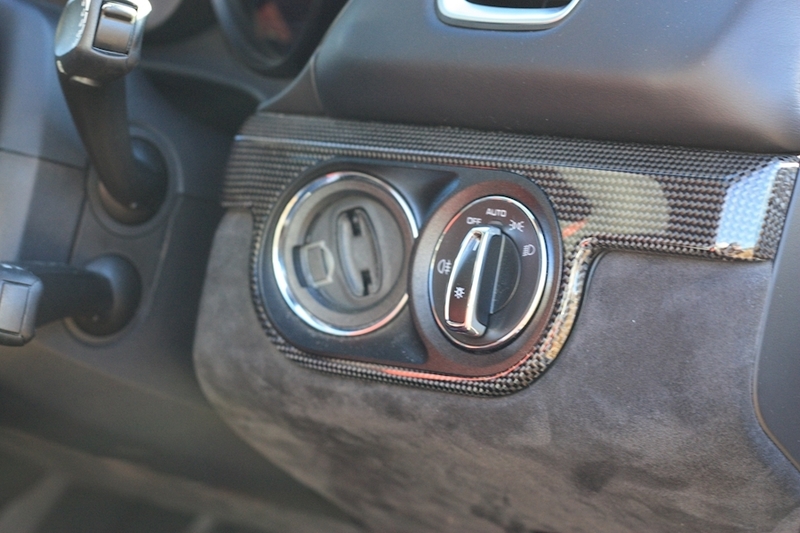 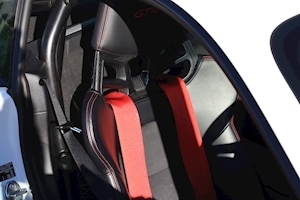 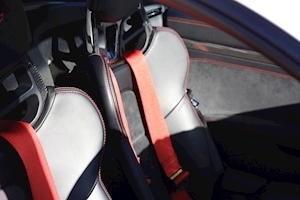 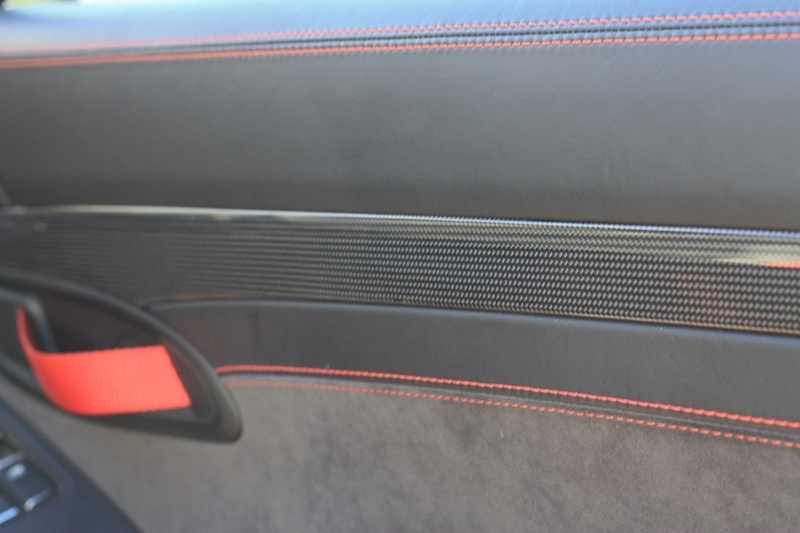 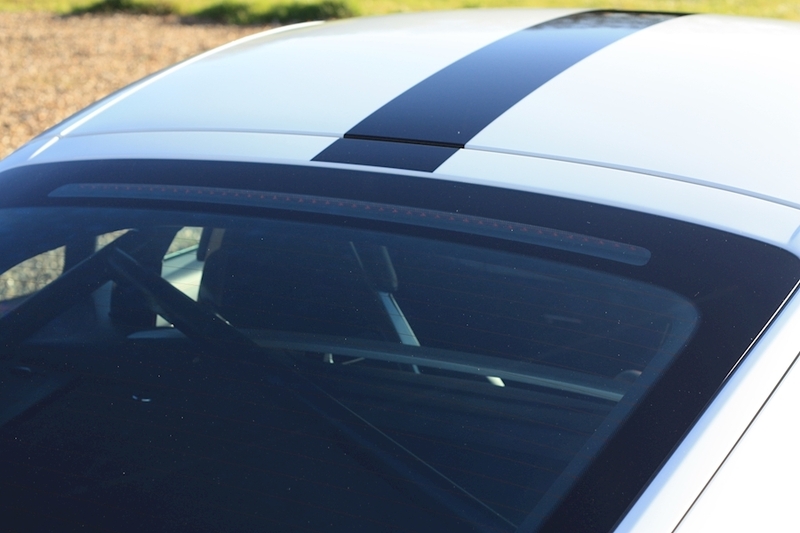 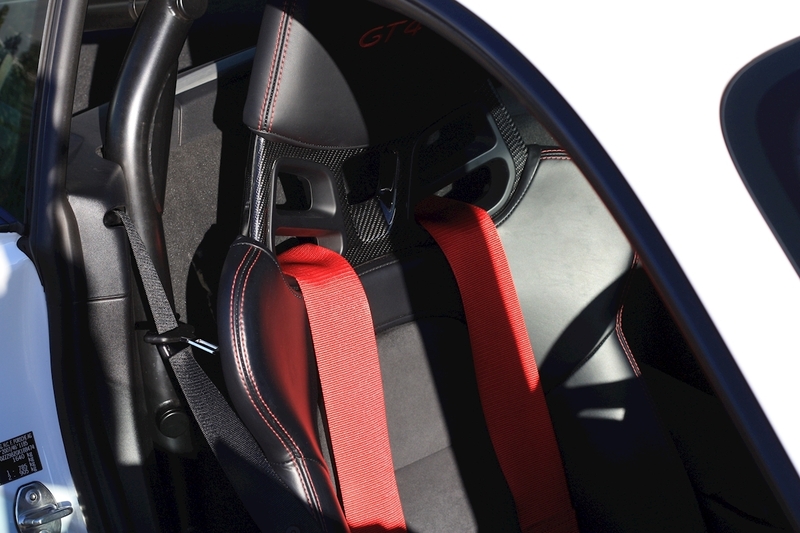 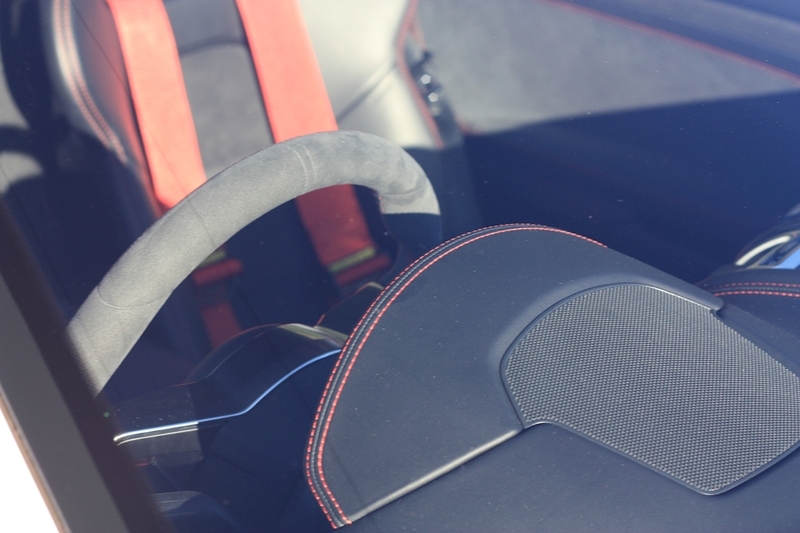 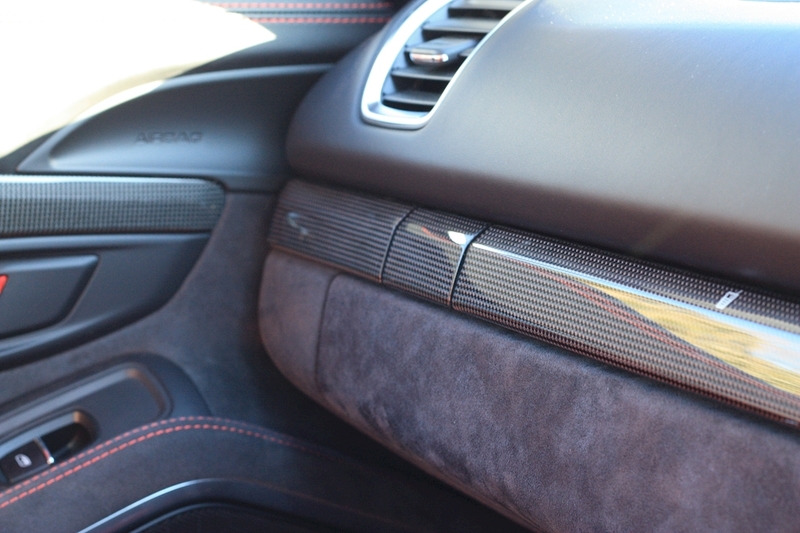 On top of the standard features this car benefits from the all important Clubsport Pack with the 918 seats and the stunning Interior Carbon Trim. 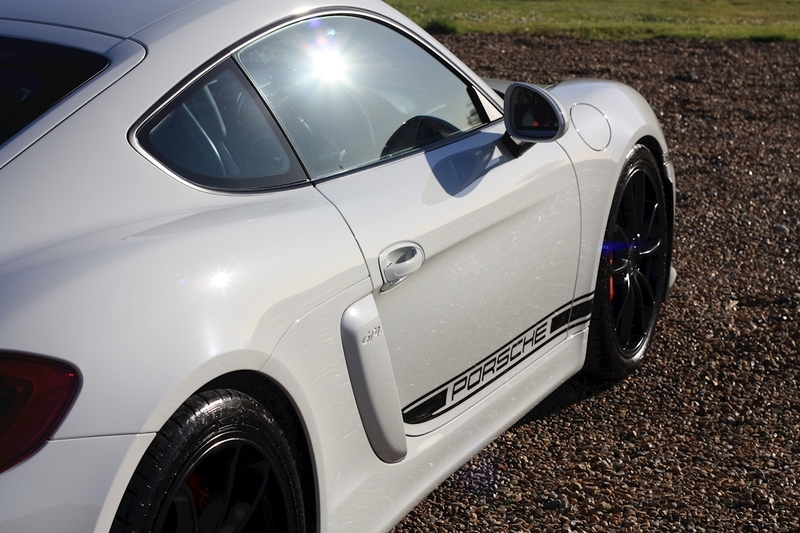 The car was covered with a Topaz Paint Protection Film from new. 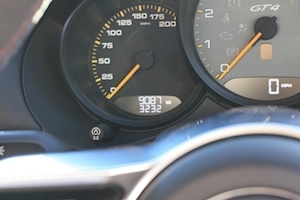 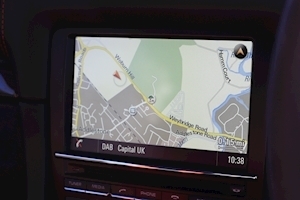 A truely fantastic example and a car that has no recorded over rev's on the ECU. 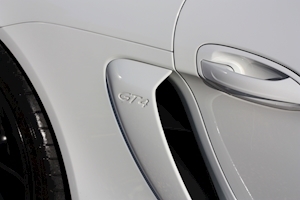 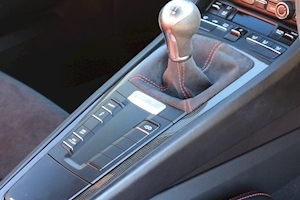 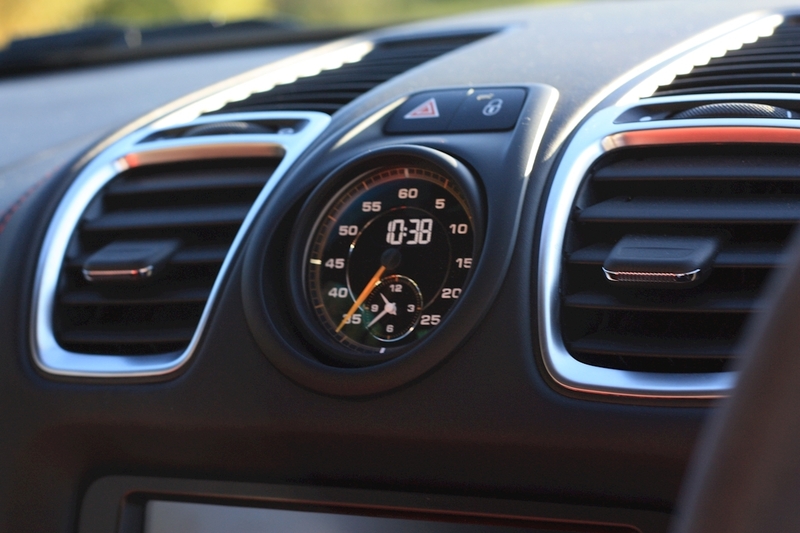 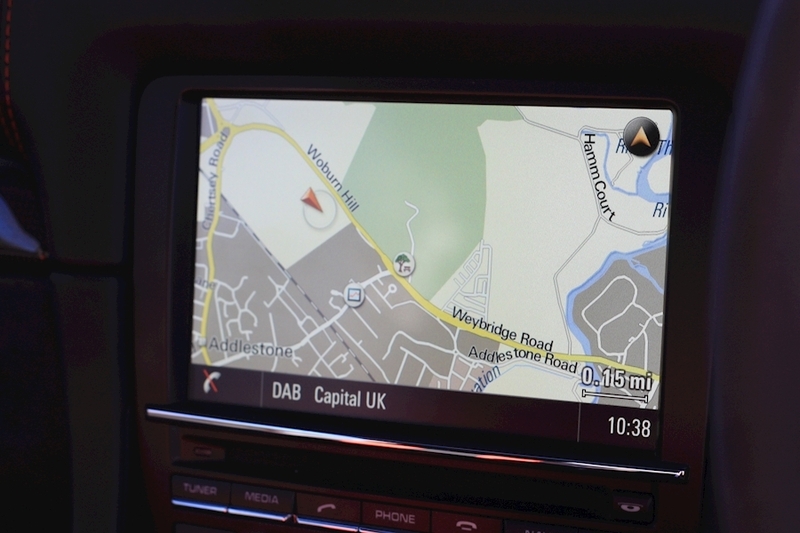 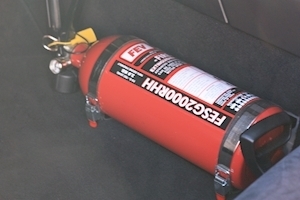 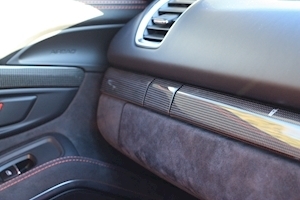 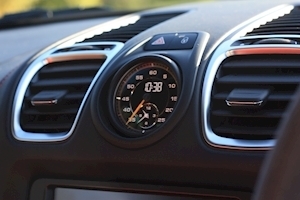 This car also benefits from the balance of the manufacturers extended warranty to 2020. 20 Inch GT wheels Painted in Satin Black, 7 inch Colour Touchscreen, 918 Bucket Seats, Air Conditioning, Alcantara Roof Lining and Steering Wheel, Black Leather/Alcantara Seats, Bluetooth/Iphone Connectivity, Carbon Interior Trim, Cruise Control, DAB Radio, Dynamic Engine Mounts, Embossed Headrests, Extended Warranty until 2020, Fire Extinguisher, Fixed Rear Spoiler with Integrated Trailing Edge (Gurney Flap), Full Porsche Service History, Full Topaz Paint Protection Film, GT4 Logo Stitched into Headrests, Manual Gearbox, PASM, PCM Navigation with Telephone Module, Porsche Dynamic Light System, Porsche Torque Vectoring (PTV), Porsche Vehicle Tracking System, Racing Harnesses, Rollcage, Sound Package Plus, Sports Chrono Package Plus, Sports Exhaust System, Sports Tuning and Chassis lowered by 30mm Compared to the Cayman, Traction Control, Universal Audio Interface.